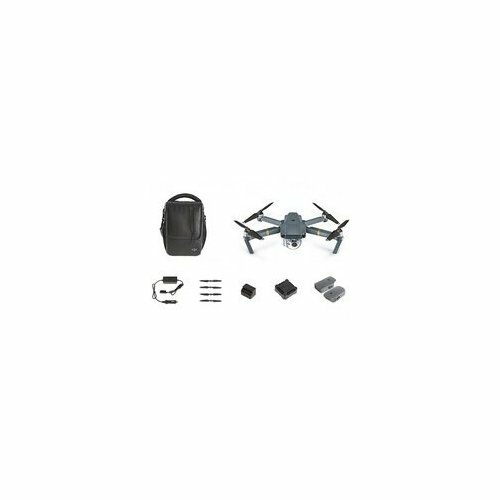 The DJI Mavic Pro has been discontinued and replaced by the DJI Mavic Pro Platinum. Spares and accessories continue to be available. 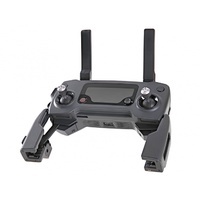 When you buy DJI Mavic Pro "Fly More" Combo from Camzilla - the drone experts - you can rest assured that you're ordering from the industry experts with in-depth product knowledge and that you'll receive an unparallelled level of customer service. We're not just after a quick sale - we're looking to establish long-term relationships with our clients. Our standard offers include free set-up and activation of your drone (if desired) and free technical support for the life of your product. 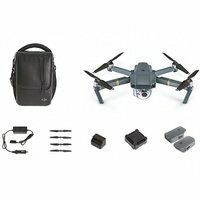 The new DJI Mavic Pro packs into a compact, portable quadcopter features that were previously possible only on much larger platforms. 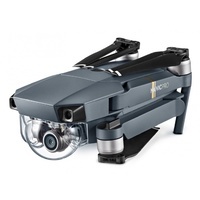 The result is a drone that is snappy, agile, and captures high-resolution images. Designed to fold up into a small, portable and easily transported size, it can truly go anywhere. 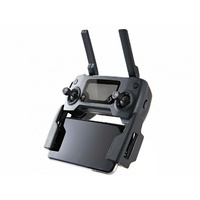 It features an advanced flight control system that uses a variety of sensors — including a ground-facing camera, ultrasound, GPS, dual IMUs, and more — to keep track of where it's flying in 3D space and avoiding collisions. Like other DJI products, the Mavic works with the DJI GO4 mobile app for accessing settings, telemetry readout, viewing a low-latency video feed plus editing and sharing your footage. As well as traditional joystick controls, you can fly with simple tap-based commands, and the Mavic can even recognize gestures for the perfect selfie shots. The DJI Mavic Pro folds up as small as a bottle of water, making it small enough to take anywhere. New OcuSync digital transmission system offers up to 4km of range (in Australia). Top speed of 64kmh and maximum battery life of 27 minutes. True 4K, fully stabilized by a 3-axis gimbal. ActiveTrack, TapFly and other smart features make pro-video effortless. Vision positioning paired with GPS and GLONASS ensures precise positioning indoors and out. OcuSync long-range-transmission technology is capable of relaying a signal up to 4km line-of-sight (in Australia) while supporting 720p HD video and 1080p HD in short-range mode. Every time you fly, OcuSync scans a range of available frequencies to find and use the one with the least interference to give you more reliability and control. Tightly integrated with the DJI GO app, OcuSync transfers vital statistics of the Mavic to you in real time, and can also be used to download photos and videos at up to 40 Mbps while flying. Custom-designed, high-energy-density batteries; an optimized propulsion system; and advanced power management give the Mavic a much longer flight time than many compatible platforms in its size class. This results in flight times up to 27 minutes under ideal conditions and up to 21 minutes for average flights. 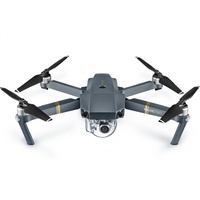 The Mavic Pro camera shoots 4K video (up to 4096 x 2160) at 30 frames per second and Full HD 1080p at 96 frames per second, so you can create incredible slow motion. Its minimum focusing distance is just 50cm, making it perfect for everything from aerial selfies to wide landscape shots. With ActiveTrack, just tell the Mavic who or what to track and it handles the rest. No GPS bracelets or transmitters are required. The Mavic can detect and recognize a number of common subjects including people, bike riders, vehicles and animals. Once you've marked your subject on screen, you can fly around them to create a huge variety of shots, depending on the mode you are in. As the Mavic is tracking, you can select exactly where you want your subject in the frame. Maximum photo resolution is 12 megapixels, with the ability to save in DNG Raw or JPEG. You can even flip the camera 90-degrees for portrait oriented shots, just like you do with your phone. Put away your controller and phone to get that perfect, natural selfie. All you need to do is put the Mavic in Gesture Mode and walk in front of it. The Mavic will automatically detect you. Raise your arms or wave to it to make it follow you, and when you're ready for your photo, make a box shape with your fingers. The lights under the Mavic's front arms will start to flash, and you will have three seconds to strike your pose before it takes a photo. Tripod Mode slows the Mavic's maximum speed to just 3.5km/h, while the joystick sensitivity of the remote controller is reduced to give you the precision you need for accurate framing. It is also great for flying indoors or other small spaces where the Mavic's normal speed may make it too challenging to fly. 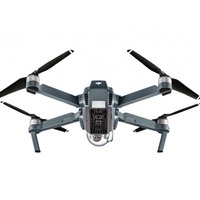 The Mavic is able to position itself accurately in a range of environments, beyond what's possible with basic "optical flow" technology, which depends on a single downward-facing camera and assumes that the ground below is always flat. Mavic is able to sense its environment in 3 dimensions and react to it, ensuring it hovers steadily, whether it is high up on the side of a cliff where downward sensors have no target, or under a forest canopy where satellite positioning is blocked and the ground is covered in uneven markings and obstacles. Precision Landing technology means the Mavic is able to automatically land almost exactly where you took off. Every time you take off, the two downward-facing vision sensors record a burst of video of the ground and pair it with satellite coordinates. When you tell the Mavic to fly home, it will return to that coordinate, match the video, and land back at your feet. As the Mavic flies, it scans the world around it, creating a 3D map that tells it exactly where it can fly and what it needs to avoid. Because it uses vision processing, it can see up to 30m in front and accurately measure distance up to 15m in front, making it significantly more accurate than sonar based avoidance technologies. When the Mavic detects an obstacle and sees a way around it, it will simply adjust its route to fly around it. If it can't see a way around, it will slow to a stop gently and hover until you tell it what to do next. 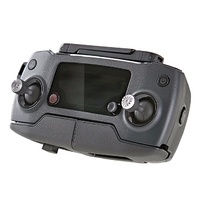 This obstacle avoidance system is activated in every Intelligent Flight Mode, including all ActiveTrack modes, TapFly, and Terrain Follow. If you use Automatic Return to Home, it switches on too, so that as the Mavic makes its way back to you, it won't hit anything in its path. Avoidance is effective when flying at speeds up to 35km/h. Sport Mode was designed for fun, giving the Mavic a top speed of 64km/h, while ramping up agility and responsiveness, to give you a taste of drone racing. You can also use it to film something fast, or zip out to catch a shot before the moment passes. Even in Sport Mode, the Mavic will stop immediately if you let go of the controls. In flight, the Mavic uses its compass to determine where it's heading and the Inertial Measurement Unit (IMU) to tell it how it is flying. An interruption in the data flow from either of these may cause it to fly less reliably, which is why the Mavic has two of each. Whenever the system detects an inconsistency in one, it switches to the other, keeping your flight steady and reliable.